Tall Ship sailing experience in Portland, Dorset. Learn the ropes, hoist the sail or take the helm. 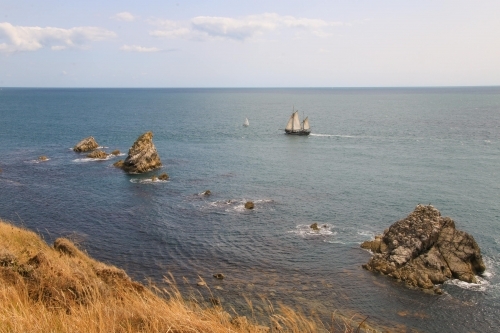 Boat trip sailing the Jurassic Coastline daily. Hop on board & join the crew for an adventure. Sightseeing, Landmarks, Dolphins, Seals, Boats. Tour Guides, learn history of our beautiful Coast. Gift Vouchers, Boat Charter, Fishing Trips. We are the only affordable Tall Ship Sailing experience in Portland in Dorset that is suitable for all ages and abilities. Moonfleet sails daily from Portland Marina in Dorset, out into Weymouth Bay and to remarkable destinations along Dorset's beautiful coastline! All trips depart from and return to Portland Marina - come down, see us and have a look around in between trips. Treat yourself to a day at sea sailing our classic Tallship, Moonfleet! Here's a real opportunity for both novice and sailor to try your hand at classic tallship sailing around Southern England's stunning Jurassic Coastline and the fascinating chalk downlands of The Isle of Purbeck and stone cliffs on The Isle of Portland. 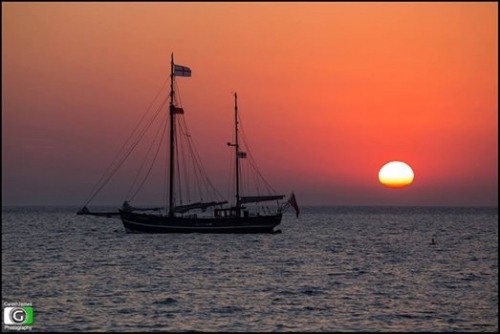 For those keen to have a go, our crew will provide an opportunity to try most activities that can be fitted into the short voyage, from weighing anchor to hoisting the mainsail - and even taking the helm! Or alternatively If you don't yet have the confidence to be hands on, you may sit back to watch and enjoy the ride! 10% Discount for 2 Adults & 2 Children on all sails. Sunset Sail available in the evenings and time changes with the sun setting, this is our Cheapest sail. Anchor in Mupe or Worbarrow Bay for a picnic aboard. 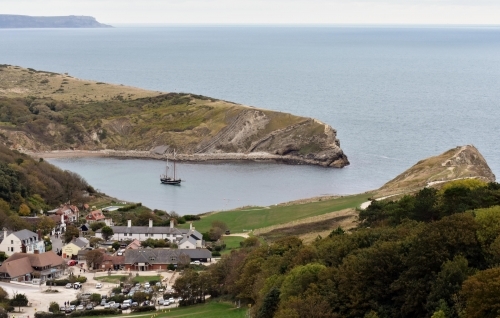 See Lulworth Cove and Durdle Door along the way! 6 Hours £85 (Access to Mupe Bay or Worbarrow Bay is dependent on Lulworth Army Artillery Range activity).